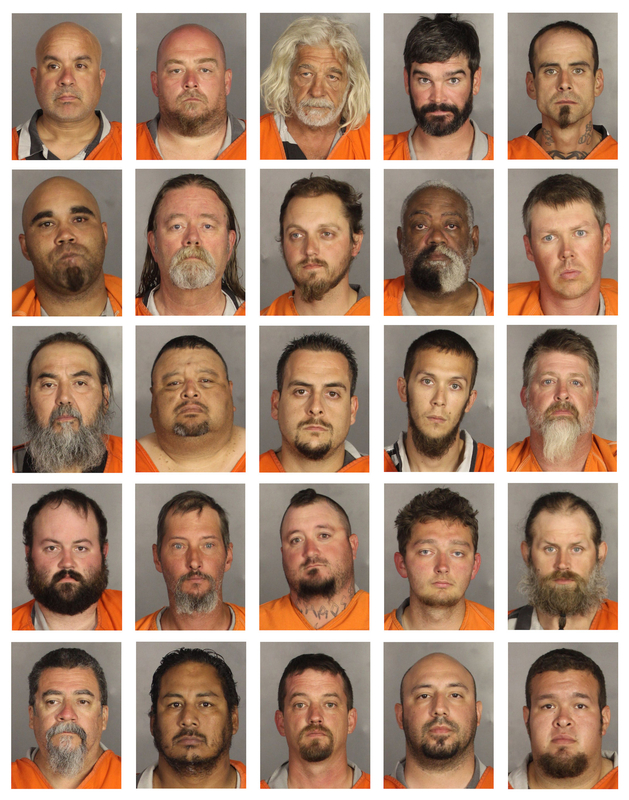 The last remaining charges against bikers allegedly involved in a shootout at a Texas restaurant in 2015 that killed nine people were dropped on Tuesday. 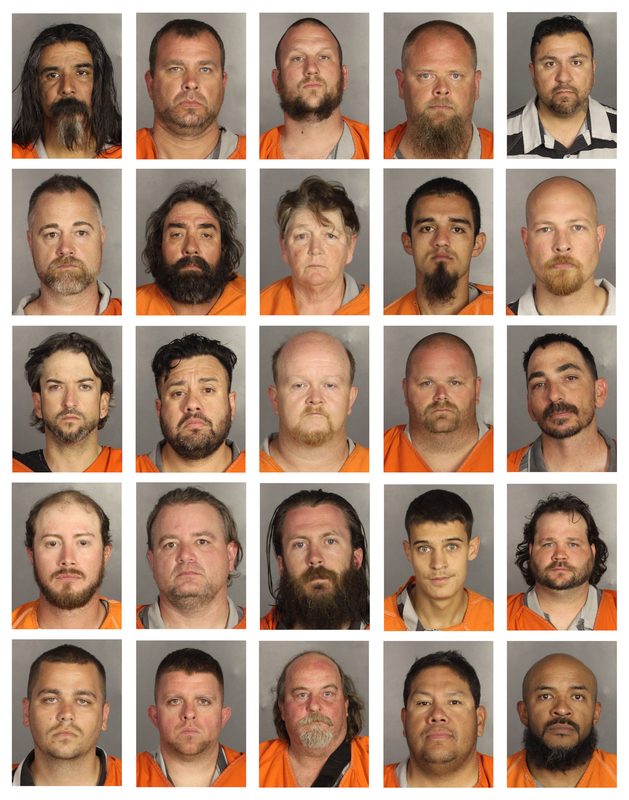 The decision means no one will be convicted of a crime in connection with the shootout in Waco that also left 18 injured and resulted in the arrests of 192 members of rival biker gangs. More than 300 weapons were found hidden around the Twin Peaks restaurant, and police said it was the worst shootout they'd ever seen. But almost four years after the deadly chaos, McLennan County District Attorney Barry Johnson, who took office three months ago, said the case had been mishandled and he couldn't continue on the "ill-conceived path" set by his predecessor. "This is a difficult decision which must be made based on the existing facts and evidence in accordance with the laws of this state and in the interest of justice, and not a decision that can be made based on emotions or personal feelings or preferences," Johnson said in a statement. Some of the booking photos after the shootout. 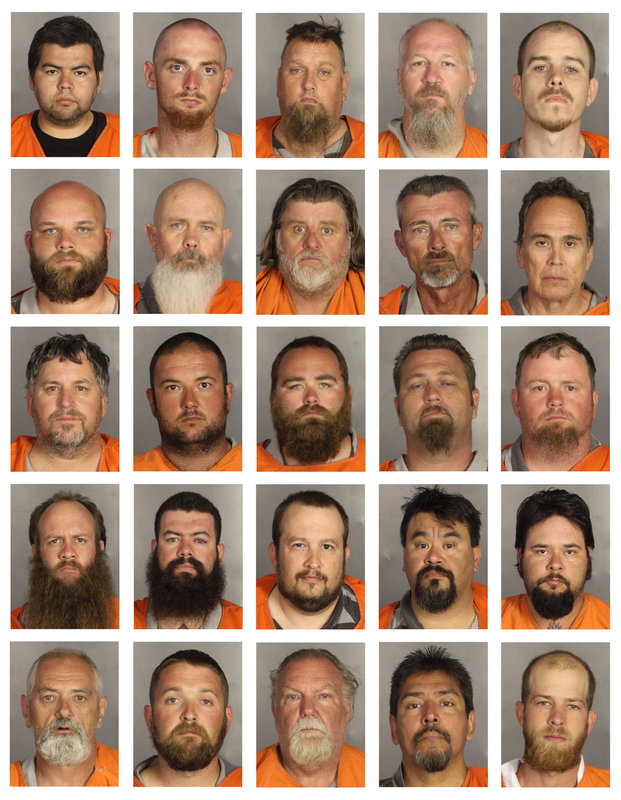 In the aftermath of the shooting, 155 members of the Bandidos or Cossacks biker gangs were indicted on engaging in organized criminal activity. Johnson said he believed those charges were appropriate, but he accused his predecessor, former District Attorney Abel Reyna, of failing to assess evidence against individual bikers and promptly using that to secure convictions. "Over the next three years the prior district attorney failed to take that action, for reasons that I do not know to this day," Johnson said. 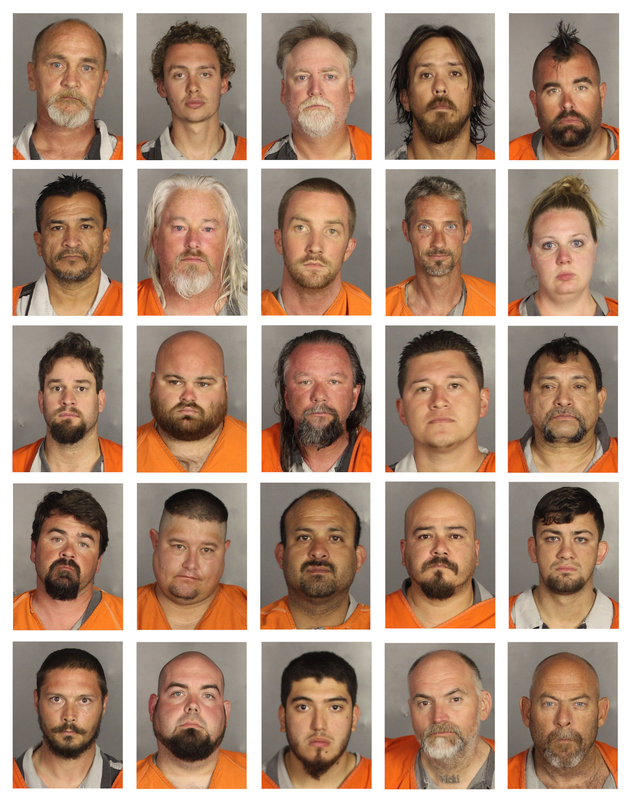 The police roundup of bikers following the shootout also got pushback from biker groups, and more than 100 people have filed lawsuits against the Waco Police Department and other authorities. Attorney Don Tittle, who is representing many of the bikers in those cases, told the Waco Tribune-Herald Tuesday that the public had grown skeptical of authorities' treatment of the shootout as an organized criminal conspiracy. “Maybe if law enforcement had stuck with the original plan to focus on individuals who might have been involved in the violence and let the rest of the motorcyclists go after being interviewed, things would have gone differently," Tittle told the newspaper. Only one man, Jacob Carrizal, had a criminal trial, which ended with a hung jury in 2017. Many of the charges against other bikers were dropped after that, and on Tuesday, Johnson said he did not believe his office could successfully prosecute the remaining 24 cases. Reyna, now a private attorney, told BuzzFeed News he disagreed with that outcome, as well as with several of the statements and accusations made by Johnson. But he added he respected Johnson's authority to make the call. Johnson campaigned on issues with the shootout case and won the election with support from almost 60% of voters. "I respect the fact that the voters of McLennan County chose Mr. Johnson to make these types of decisions," Reyna said. Two top leaders of the Bandidos were found guilty last year of murder, racketeering, and other charges in a federal trial that was separate from the Waco investigation. Jeffrey Pike and John Portillo are each now serving life sentences in prison. The name of the Bandidos biker gang was misspelled in an earlier version of this post.